Variation in resource allocation to clonal growth versus sexual reproduction suggests that plants have different adaptive strategies in response to environmental conditions such as nutrient availability and soil moisture. Seeds of P. chinense might play an important role in expanding its established populations. We hypothesize that an early successional perennial plant Penthorum chinense Pursh with many seeds and small rhizomes does not increase its allocation to rhizome propagules and/or decrease its allocation to seeds under sufficient nutrient content or moisture conditions, unlike many other perennials. We performed mesocosm experiments to understand how P. chinense could alter resource allocation to rhizomes and seeds under experimental manipulation of water and nutrient availability. 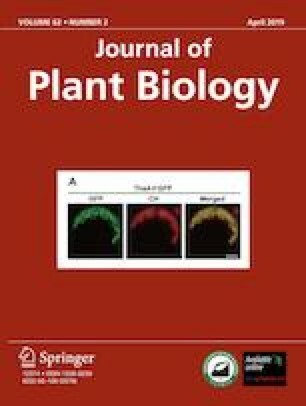 Like many perennials, P. chinense contained more rhizome dry mass and rhizome mass fraction under favorable nutrient content condition than with relatively low nutrient levels. However, P. chinense did not decrease its allocation to seeds under sufficient nutrient condition. It did not change its allocation to rhizome propagules or seeds under high moisture level either, unlike other perennials. These results suggest that both rhizomes and seeds of P. chinense might be important for expanding its established populations.